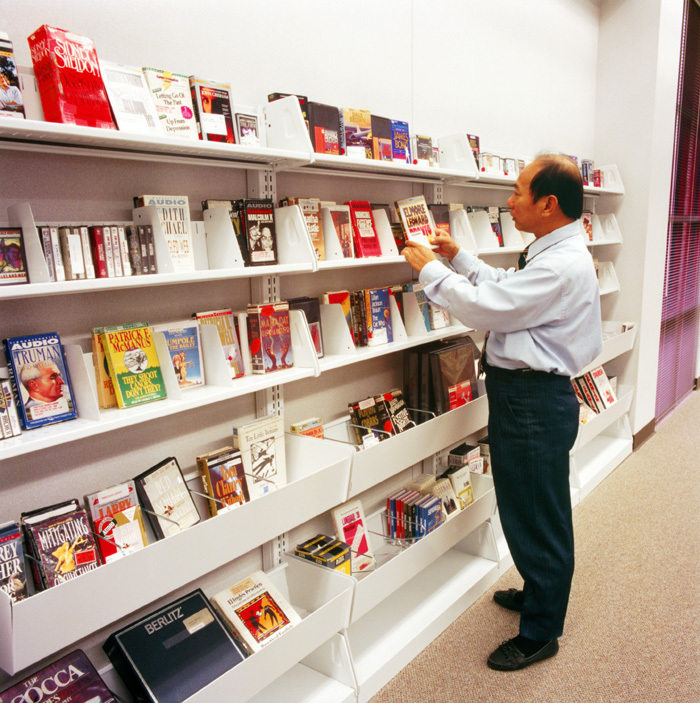 Today’s libraries are more than just bookcases filled with traditional education information. They have evolved into learning centers, meeting facilities, and launch pads into cyberspace. 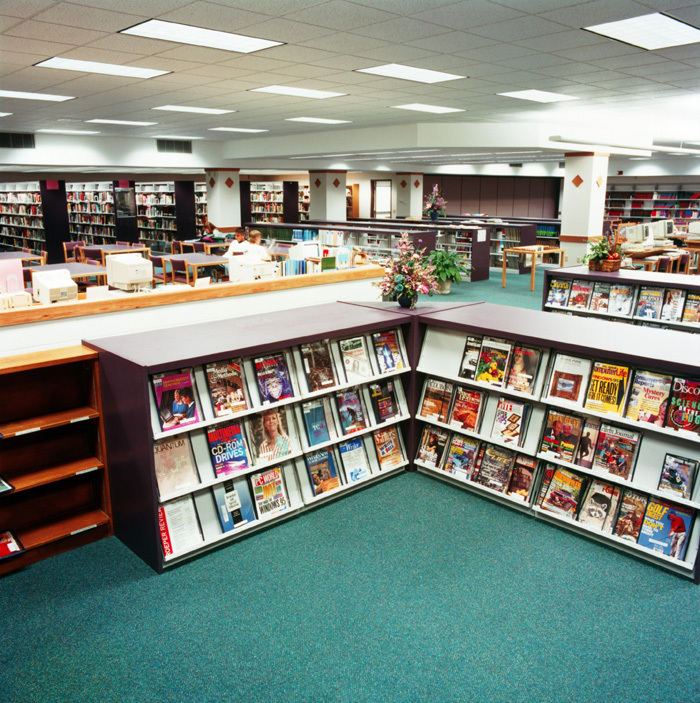 Libraries are also facing the need give their users convenient access to information while providing ambiance and comfortable furnishings in order to compete with retail bookstores. 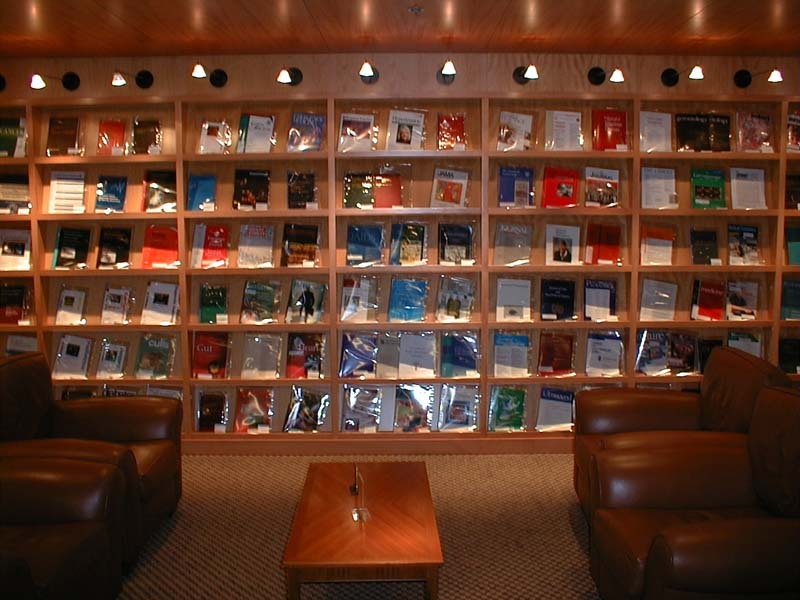 With this evolution, library bookcases need to be more flexible and better looking than ever. 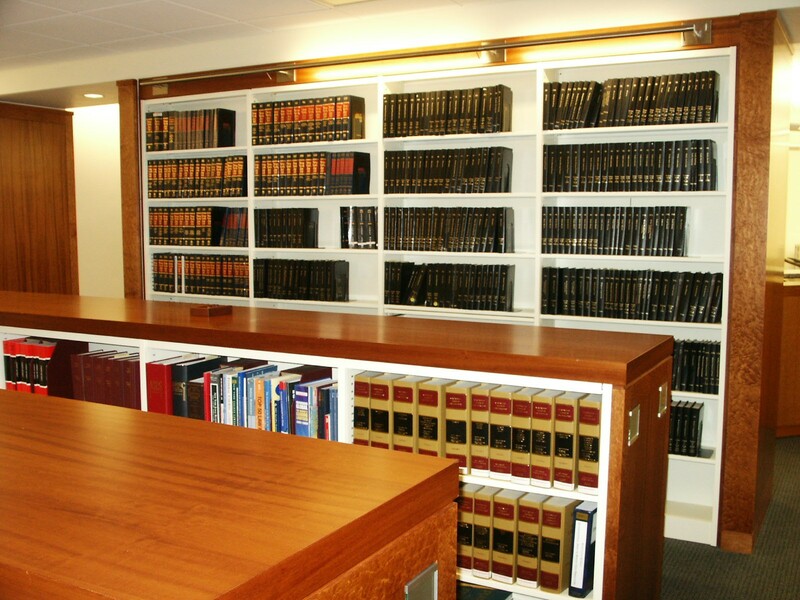 Fortunately, Spacesaver® Library Shelving and Cantilever Book Shelves meet all of these requirements. Are engineered for steadiness, durability, and resilient functionality. 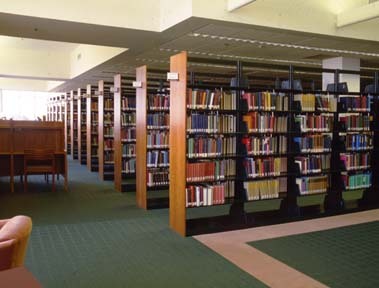 Their sturdy, heavy-gauge steel, welded-frame construction meets or exceeds American Library Association standards for structural integrity. Are easy to assemble, disassemble and reassemble. 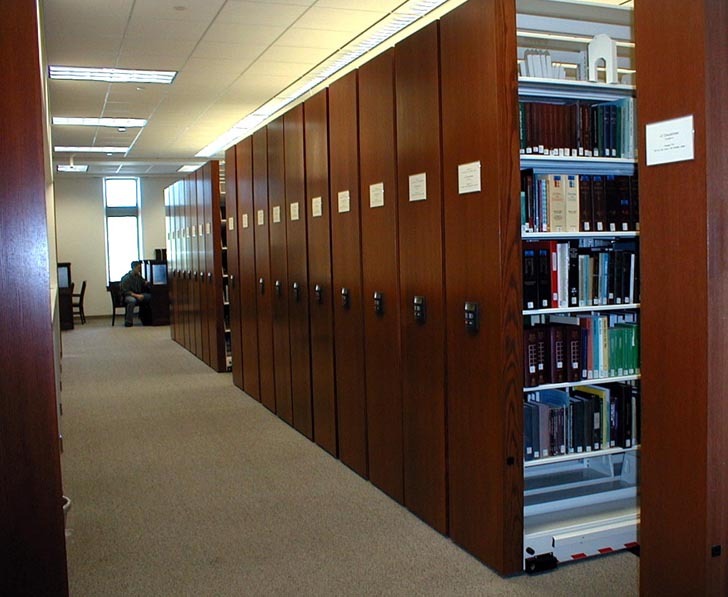 Spacesaver Library Shelving and Cantilever Book Shelves are designed to be easily modified as your library storage needs change and evolve. Give you practically endless design choices. 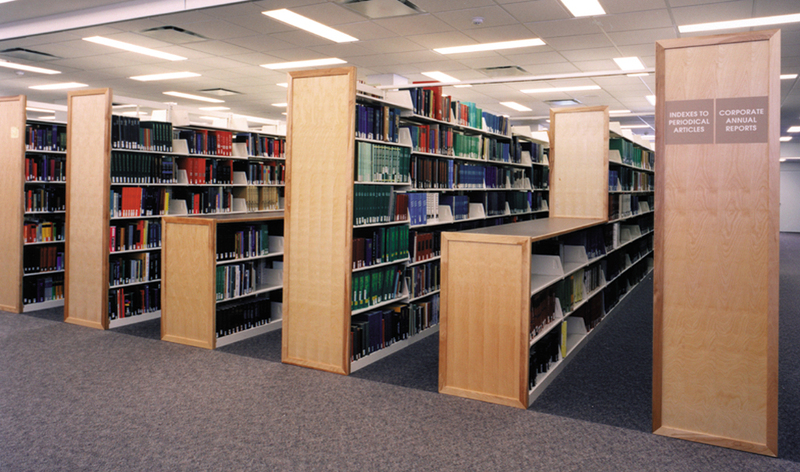 Spacesaver Library Shelving and Cantilever Book Shelves come in a variety of colors, end panel materials, and finishes that will provide an aesthetically pleasing look to any library. 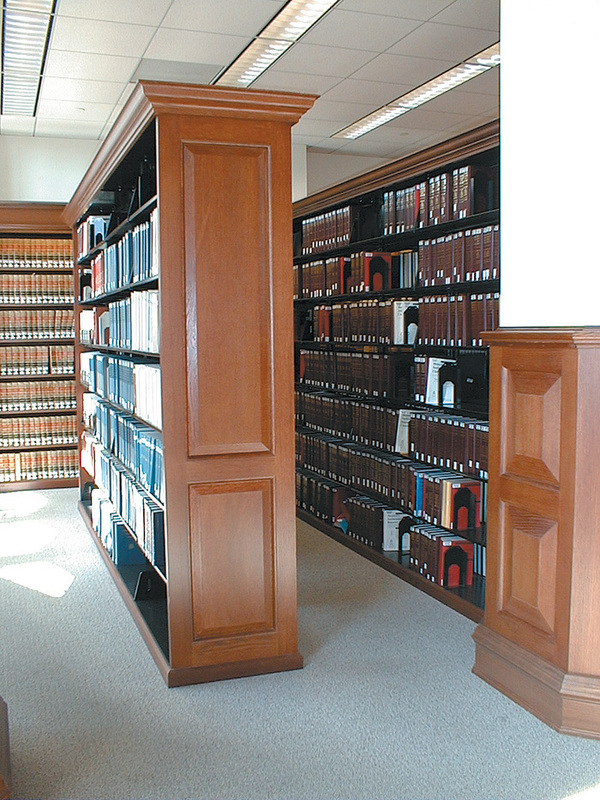 Have powder-coat paint finishes that will protect your bookcases from scuffs, scratches and chips. 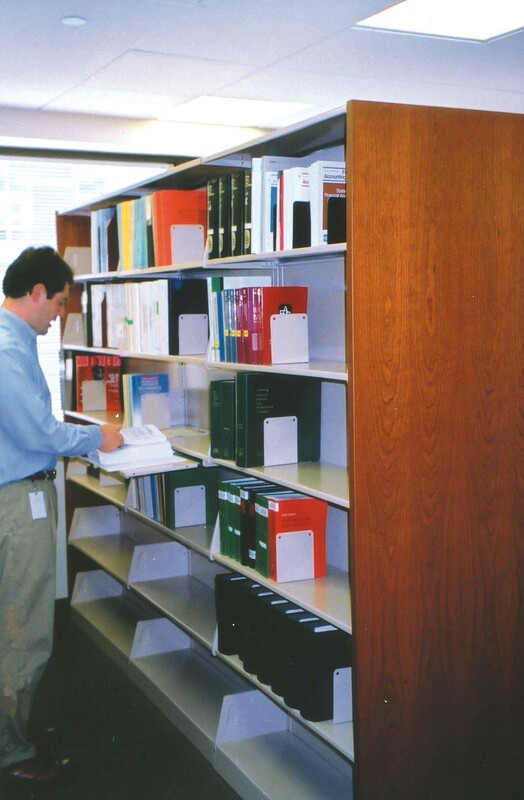 By mounting your Spacesaver Library Shelving or Cantilever Book Shelves on tracks, you can create rolling bookcases. 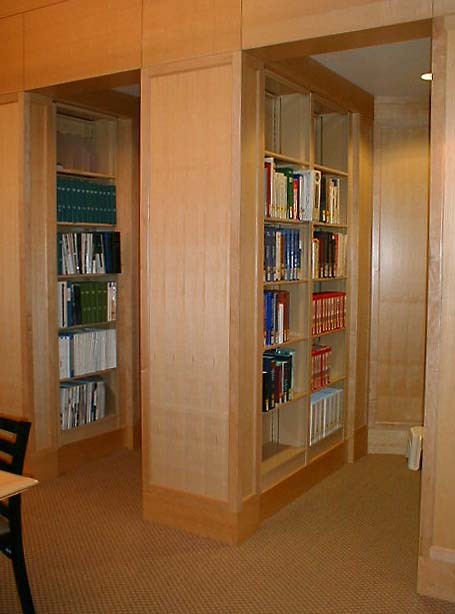 The rolling bookcases will double your existing library storage space because the system compacts the shelving together to eliminate unnecessary access aisles and replaces them with one or two movable aisles. 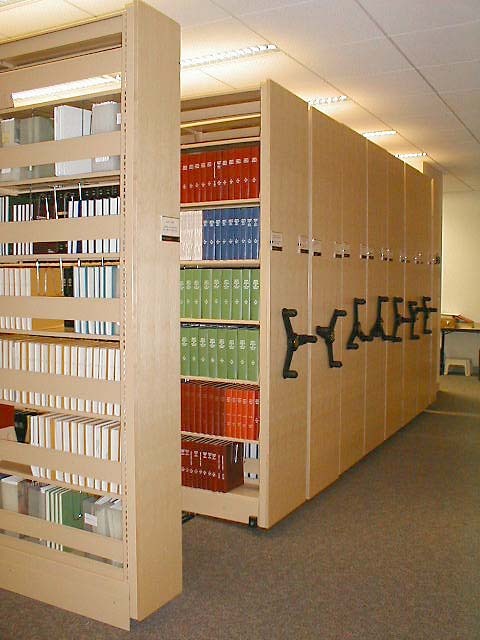 Rolling bookcases are perfect for the ever-growing periodical and reference manual sections of your library.